Let's all face it: M. Night Shyamalan has become a bit of a joke in the past few years. Those (like myself) who have been silently rooting for him to make a comeback though will be pleasantly surprised with his latest film: The Visit. Shyamalan's obsession with minimalist titles aside, this movie is pretty fresh for ole M. Night. 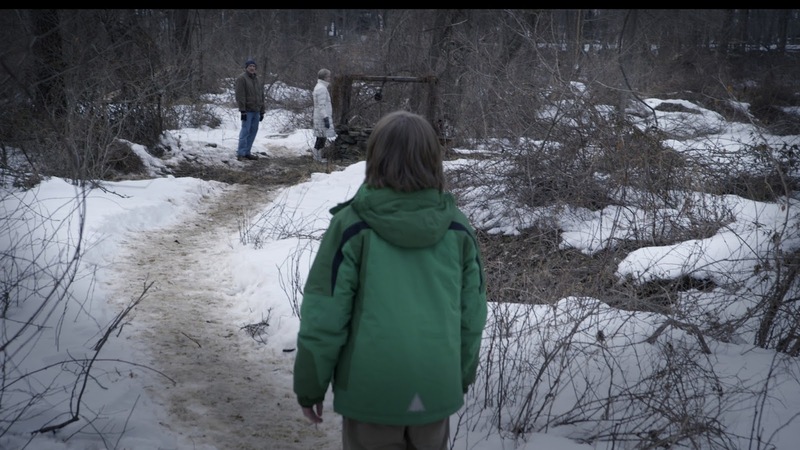 Taking a leap into the popular handheld camera style, The Visit makes a successful scare that Shyamalan hasn't been able to pull off for a few years. The movie begins with a mother explaining that she had parted ways with her parents when she was a teenager. After they found her via social media, her kids pushed to spend a week with them in Masonville, PA. The kids are a girl, Becca, who's about 15 and obsessed with becoming a film director (a deviance from the regular mold of "found footage") and her brother, Tyler, who's about 10. While the visit starts off as a fun week with their refound grandparents, their behavior quickly begins to turn from eccentric to downright bizarre as each day goes by. While the kids are quick to explain away the situation to their mother as old people just being old people, they quickly need to rethink their excuse. What is up with these old folks and why are they acting so weird? I read a really interesting piece about Shyamalan using this movie as a return to his roots and it shows. The plot is pretty straightforward, unlike his befuddling The Happening and Lady in the Water stories. There's no mysticism, no over-explained plot points, and no magic. It's just two really nice kids who are stuck in the middle of nowhere with two old people who are acting increasingly strange. And for some reason that creep factor maintains really well. As an adult, it's rare to be in a situation where you can't just leave somewhere if weird stuff is happening. But this film does a great job of creating an uneasy sense of being trapped. This in mind, along with the kids' desire to reconcile their grandparents with their mom, makes their willingness to explain away their behavior understandable. Everyone knows a senior citizen that doesn't quite have all their marbles, and so it's easy to believe the kids in the beginning when they're shrugging off their grandparents' behavior as "a little weird" and nothing more. The fact that they're in the middle of nowhere helps this sense too - isolation doesn't exactly encourage normalcy. But the more the kids discover, the harder it is to deny that there is something seriously wrong with these two people - and that they have no way out. There's also just something so fundamentally creepy about elderly people acting weird. Even the best of us can get a little alarmed when they shoot off with inexplicable behavior. I mean, jeez, I used to get weirded out when my grandma called me by the wrong name - I can't imagine some of the things that these two kids have to go through. Adding to that creep factor is the old adage that you should be respectful to the elderly. Maybe the kids' ultimate downfall is the fact that they're good, polite kids trying to spend quality time with their grandparents. This combo backfires big time. And it wouldn't be a Shyamalan movie without a good ole-fashioned plot twist! If you keep your eyes open, you can see it coming early-on, but the surprise adds refreshing dimension to what could easily be another Paranormal Activity-esque yarn. 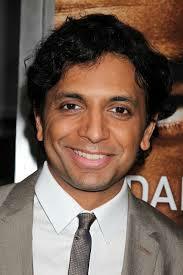 All in all, I was happy to see Shyamalan with a triumph for once. I've been rooting for him for years because of his original story-telling skills and his ability to make even scary movies kind of funny at times. He has a very good grasp on characterization and in this movie it plays pretty well. I do think there were a few things that he did stylistically that don't translate well to the handheld aesthetic, such as what I think was a bit of forced intimacy between the brother and sister. While it adds to their characters, I had a bit of a time believing that they'd open up like they do at some points, especially with a camera in their faces. That aside, The Visit is an admirable horror movie effort from Shyamalan, and I'm honestly so pleased to have a reason to like him again that that makes the movie even better. Interesting perspective. Honestly, I've seen nothing but flack for this latest Shymalandoobly flick and I'm still on the fence about whether to rent it. Of course, everybody else seemed to loovvee "Unbreakable" and that movie just didn't do it for me. I like your deviation from everyday opinions. Nice, prompt write-up.